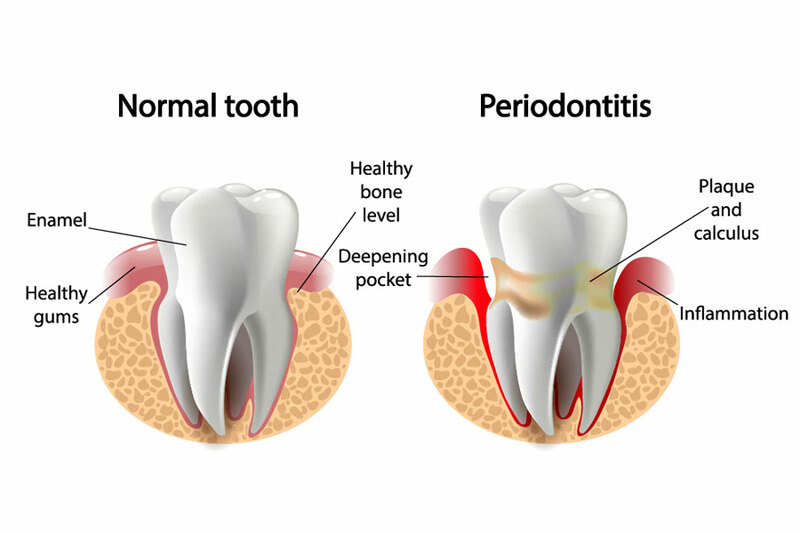 By now, most people are aware of the seriousness and impact of gum disease – the leading cause of tooth loss in adults – but how many people know how it begins and what causes it? There is a space between the gum lining and tooth called the SULCUS. Bacteria fill this space and unless they are removed by brushing and flossing, they can irritate the gum lining. The cells in the lining swell and separate. Gradually the material inside the lining cells, or the cementing substances which hold the cells together, are destroyed. As the sulcus becomes diseased, a pocket forms. At this point, toothbrushing or eating hard foods might cause your gums to bleed. THIS BLEEDING IS NOT NORMAL. Unless steps are taken to correct the situation -–and it is reversible at this stage – it may lead to the destruction of more gum tissue and bone, and eventually the loss of the teeth themselves.